Yves Saint Laurent have super-swished two of their most iconic products; the Touche Éclat pen and their fragrance classic that for many of us is perfume “marmite”: Opium. 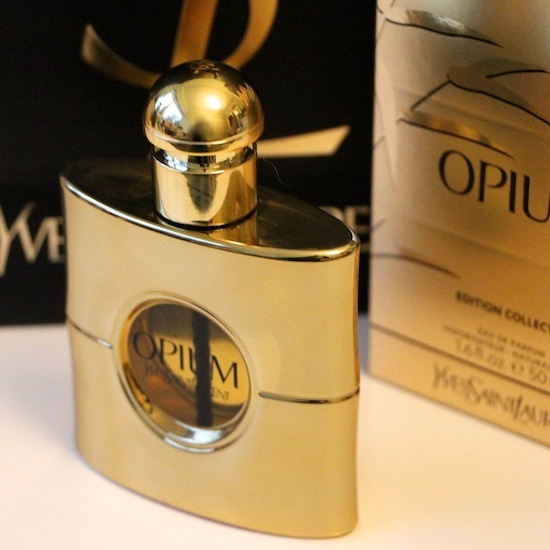 For me, Opium has incredibly warming associations; my Mum wore it from when I was very little and I remember clearly the palm-leaf packaging on her dressing table. It’s a strong, heady fragrance and not one that I could personally douse myself in but I know that it is extremely popular – it must be! I can’t imagine YSL are selling all those bottles of it for them to just sit, unopened, in people’s knicker drawers. The Touche Éclat hasn’t had quite the same level of makeover but the casing is beautiful – it looks as though it has been speckled with tiny raindrops – and it comes boxed with tissue and a bow. You’d never normally think of gifting a Touche Éclat, but presented like this I think that it makes quite a gesture. It’s the same price as usual, £25, and available at YSL Counters. 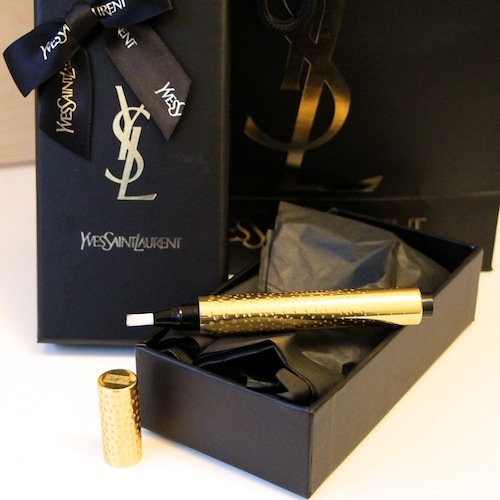 However, I’ve just spotted a lovely gold boxed one at Selfridges.com and it comes with a mini mascara too! Well worth a look – it’s here. Previous Post A Burst of Juicy Colour on a Miserable Day. Next Post This Year’s Cookbook.